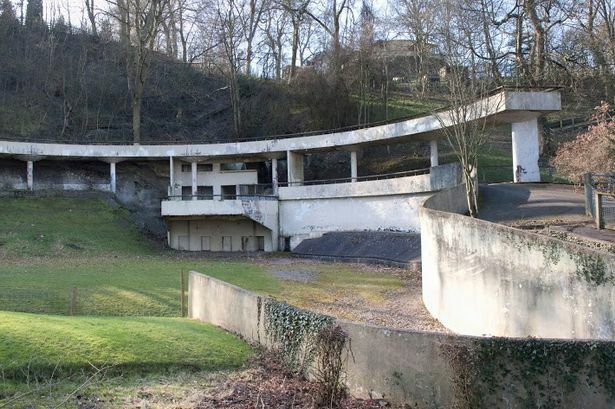 Can we bear to let Dudley Zoo design classic crumble? The architects and engineers who created what has been called "The Heroic Age of Modern Architecture", in the inter-war years of the 1920s and 30s, saw the new architecture they were making as being in the service of a new and better society - more egalitarian, healthier, better educated than previously. Architecture for them was a tool of social and economic improvement. So the landmarks of early modern architecture were buildings that exemplified that social and economic purpose, such as the Boots factories in Nottingham, and health centres in Finsbury and Peckham in London. These brought new conditions of space, daylight and well-being to the workplace and the clinic. Admittedly, British architects were less progressive than their counterparts on the European mainland in the development of modern architecture and much of the architectural progress in the UK was made by foreign émigrés and refugees escaping from Nazism. Prominent among these was Berthold Lubetkin from Georgia (1901-90), who emigrated to Britain in 1931 and, in 1932 with British colleagues, set up the architectural firm called Tecton (the Greek word for &apos;builder&apos;). It designed Finsbury Health Centre and modern housing but ironically some of its more famous designs were built not to improve the lives of people but to house animals. Tecton&apos;s first commission was for London Zoo, the gorilla house, followed by the famous penguin pool with its concrete ramps. More extensive, but less famous, is their work for the new Dudley Zoo, completed in 1937. Here, they built 13 buildings in concrete, assisted by another émigré, also to become famous, the young engineer Ove Arup. Twelve of them survive, the penguin pool having been demolished in the 70s. Distributed around the limestone crag on which the medieval Dudley Castle stands, Tecton&apos;s concrete buildings have something of the heroic nature of ancient Greek temples in a wild Hellenic landscape. But they have not fared well over the decades and few of the animal enclosures are used as they were intended. But Tecton and Arup were also working in a hurry (the design and construction were done in 15 months), and designing unfamiliar and ambitious curved forms in reinforced concrete, many of which were executed poorly by the contractor. The nature of reinforced concrete was not understood as well as it is today and much of it has deteriorated as a result. A small but encouraging phase of restoration has recently been completed, using just £400,000 of a grant from the Heritage Lottery Fund. This modest sum has been spread over four of the remaining 12 buildings: the entrance pavilion, with its memorable wavy concrete roofs, the Station Café, the Bear Ravine and a kiosk. The architects who won the competitive tender for the restoration are Bryant Priest Newman (BPN), who have done an excellent job with a tiny fee which I won&apos;t embarrass them by mentioning. The skill and enterprise which BPN has brought to the job exemplify the value for money which good architects can deliver, given the chance. BPN&apos;s partner Larry Priest explains how it soon became evident the conventional appointment of a general contractor was not appropriate and would eat unreasonably into the limited budget. Instead, they appointed a skilled masonry restorer, Carlo Diponio, as supervisor employed directly by the zoo, working with two apprentices from Dudley Technical College. With the expert conservation engineer Stuart Tappin, and the zoo director Peter Suddock, the team took an exploratory approach to the job, learning as they went along. Tecton made few drawings, and not all of them survive. Finding out about the buildings and their problems was largely an empirical process done on site. Priest and Tappin attended a course on concrete repair in order to learn more. The careful stripping away of layers of paint from the concrete revealed that some buildings were originally brightly coloured, like those ancient Greek temples were. We think of both Greek temples and heroic early-modern buildings as puritanically white but often they were not. At Dudley, except for the Bear Ravine, the colours have been restored and they are striking. The entrance building is now restored to pretty much its original state. The Station Café is now a reception building and shop, with its original structure revealed, and its colour and spatial transparency restored. On the hillside above, the Bear Ravine is repaired and repainted, but without bears. The kiosk next to it is a dynamic modernist sculpture in concrete, brightly coloured. But there is a lot more restoration yet to be done and some doubts about the future remain. There is no certainty of more phases of funding. Historic buildings need viable uses in order to justify the expense of their repair and restoration. But a modern zoo does not accommodate and display animals as Dudley Zoo did in 1937. Lubetkin&apos;s generation of architects described themselves as "functionalists" but many of the zoo&apos;s buildings are no longer functional. In addition, Lubetkin and his colleagues were over-optimistic about what concrete could do. Or they did not expect their buildings to survive into the 21st century? Many of their concrete details are not capable of meeting the demands of weather fluctuation. It&apos;s an heretical thing for a conservationist to say but perhaps an alternative future for Tecton&apos;s buildings is as romantic ruins, just like those Greek temples, and indeed like Dudley Castle itself. We do enjoy what has been called the "pleasing decay" of ruins, reminding us of the entropy ever-present in life. We gain pleasure from 14th century ruins, so why not from 20th century ruins too?